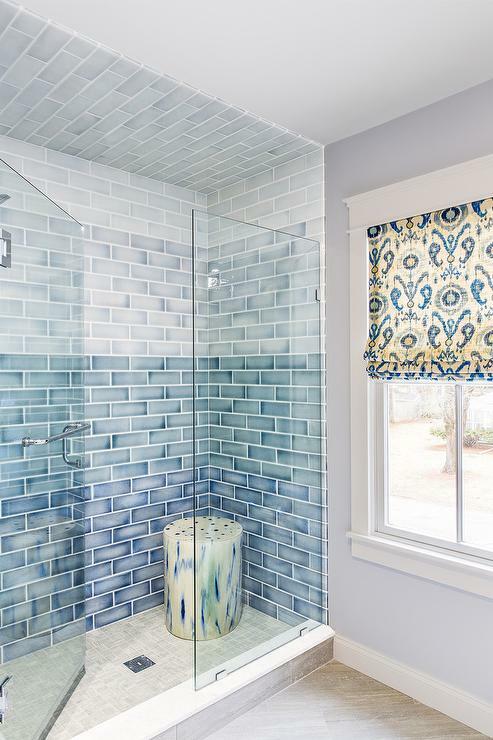 Ceramic Tile Shower Ideas that will inspire your bathroom and shower remodel in Queens, Manhattan, or Brooklyn, are right here, on our blog. 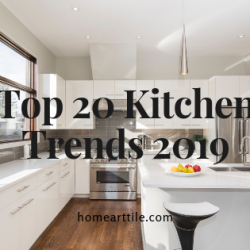 Whether you’re preparing for an occasional upgrade to make your shower fresher and more appealing or you are planning a thorough and much needed remodel, we bring you the best ceramic tile shower ideas, modern bathroom tile designs, and a plethora of useful information that you will need before and during the remodeling process. 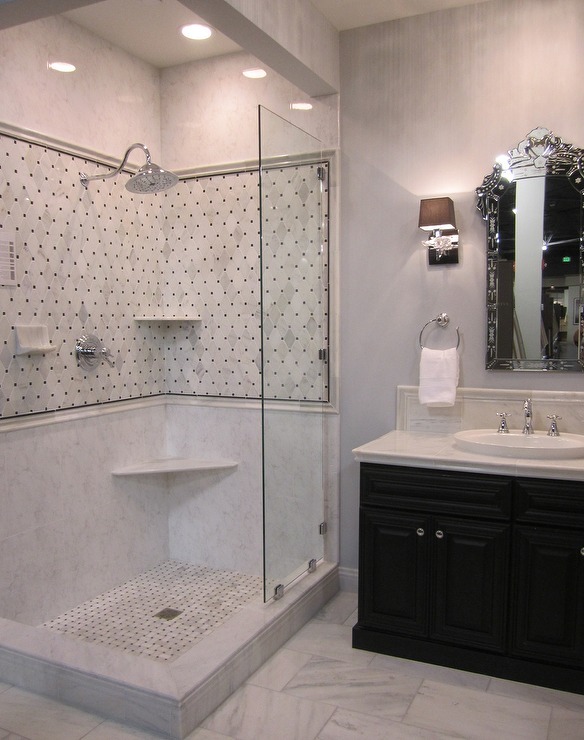 The best tile for a shower can be glazed ceramic or porcelain tile. Hard, durable and easy to maintain, with a variety of colors, shapes, and designs, they give you plenty of options. Best tile for a shower can be either ceramic or porcelain kind but when thinking between ceramic vs porcelain tiles for shower consider durability and affordability of ceramic tile. Ceramic tile is great for shower walls and shower floors. It comes in an abundance of colors, shapes, sizes, and finishes, and is more affordable than porcelain tile. Choose the size, shape, color, and layout of the bathroom tile you chose. Then focus on the specific areas where you’ll be laying tile — floors and (or) walls. There are plenty of simple ways to use ceramic tile for shower wall and floors, and create an entirely new look and modern bathroom design. Ceramic tile is relatively inexpensive and easy to install, so just pick your favorite design to coordinate with the rest of your Manhattan, Queens or Brooklyn bathroom, and you’re ready to renovate the shower. 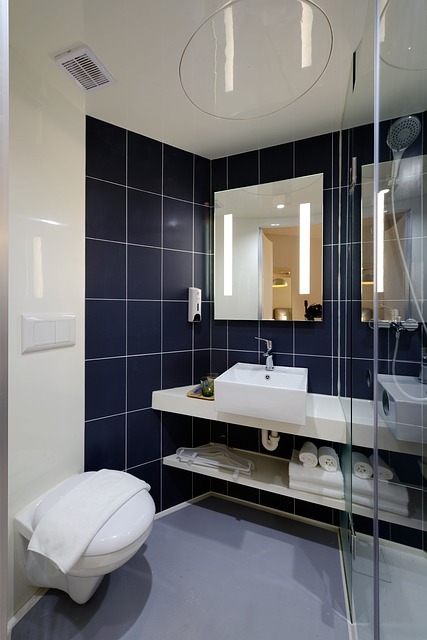 The greatest worry when planning to remodel a small bathroom is how to make it look and feel more spacious. You can follow the basic rule in interior design that everyone knows of — use light colors to open up the room and make it lighter and wider. If you have a small bathroom, don’t use dark colors because you will box it in but rather follow our tile shower ideas for small bathrooms. Using ceramic tile in white and other light colors will help. However, tiled showers for small bathrooms will not use only colors to make your bathroom spacious and bright. The way you’re laying out the tiles and their size will also help, much more than you think. When choosing bathroom tile design ideas for small bathrooms, you can play safe and pick white ceramic tile for your small bathroom. 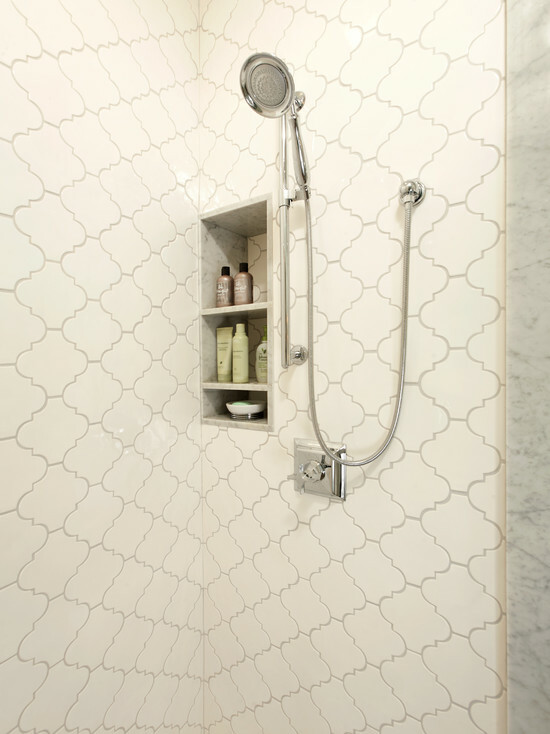 This shower looks fantastic thanks to simple but classy Arabesque white ceramic tile. Use your shower wall to create a practical storage space like this cute nook for bath necessities. Small bathroom shower ideas most often include suggestions on how to make your space appear larger than it actually is. 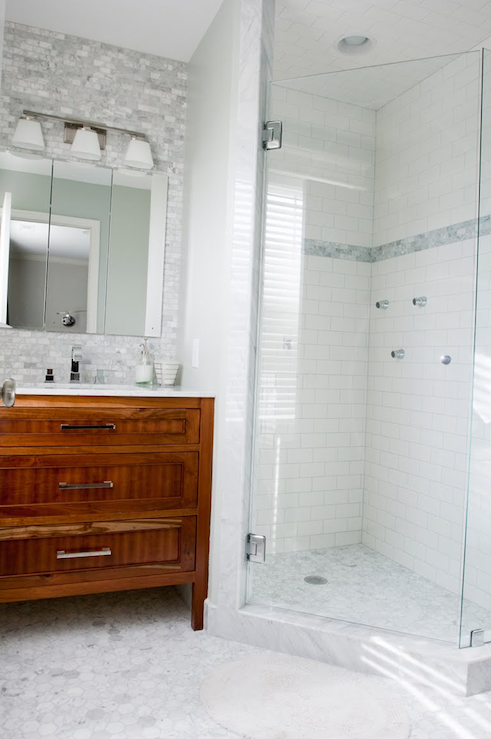 Make your walk-in shower feel larger and more spacious. Use ceramic tile on shower walls but don’t use just any white ceramic tile. Oversize white ceramic tile laid in a staggered brick pattern will change the overall look not just of your shower but the whole bathroom. Your small bathroom doesn’t have to have an all-white shower in order to promote a spacious look. Small black and white bathrooms can look amazing, too. Shower walls can be tiled in a white ceramic square cut tile with dark gray grout and combined with small black marble floor tiles. You can even add details for warmth. These simple, classic wall ceramic tiles will let you play with materials and textures even in a small space. Not all small showers are the same nor they should be. If you have a small bathroom, be creative when planning the space. 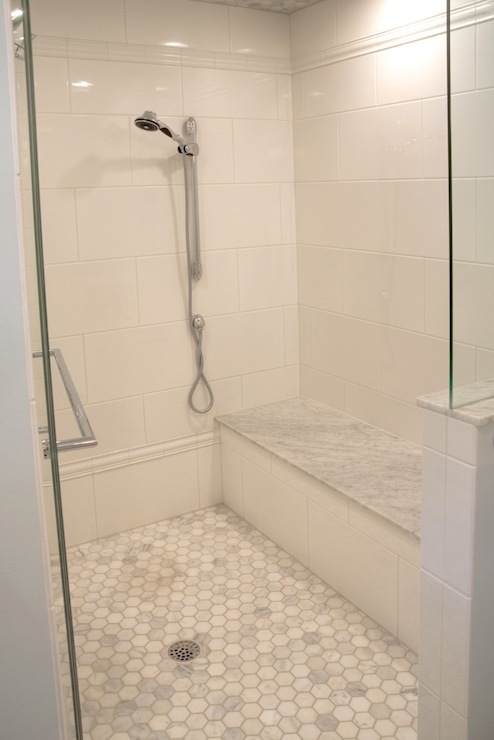 This shower with small white quartz shower bench next to a window defines a perfect, cozy shower nook. 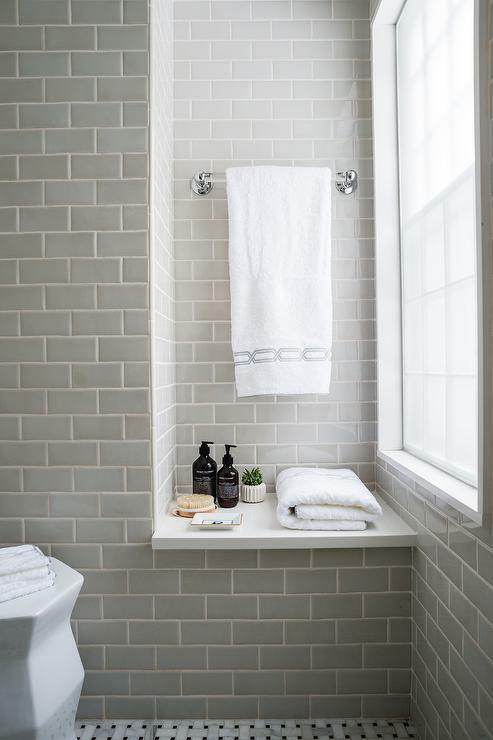 Gray subway tiles create a nice contrast. In short, to make your small bathroom feel and look more spacious, choose large-sized ceramic tiles in light and bright colors. 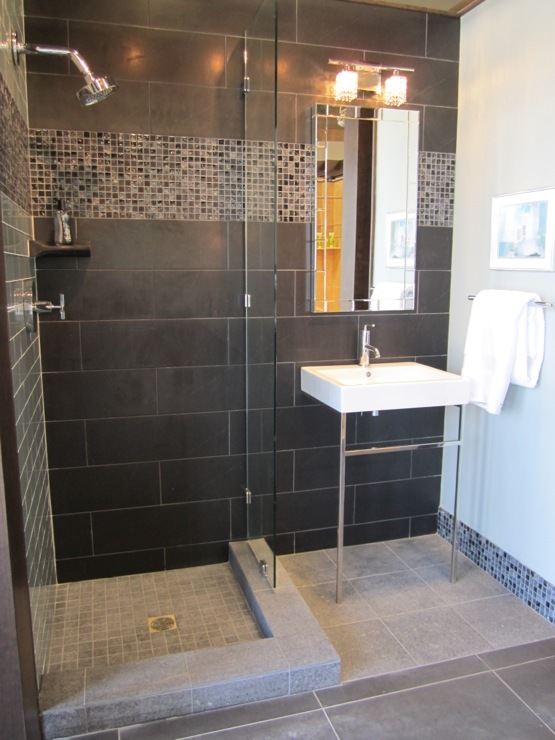 Walk-in shower designs will create a feel-good look for your modern bathroom design remodeling project. Whether your bathroom is spacious or tiny, this type of shower will free your space of obstructions and create a seamless transition between the rest of the bathroom and the shower space. To top that, walk-in showers are safer if you have small children or elderly people living with you. Pay special attention to the floor and find great shower floor tile ideas. Shower floor ideas should include non-slippery tile options for great convenience and minimum risk. 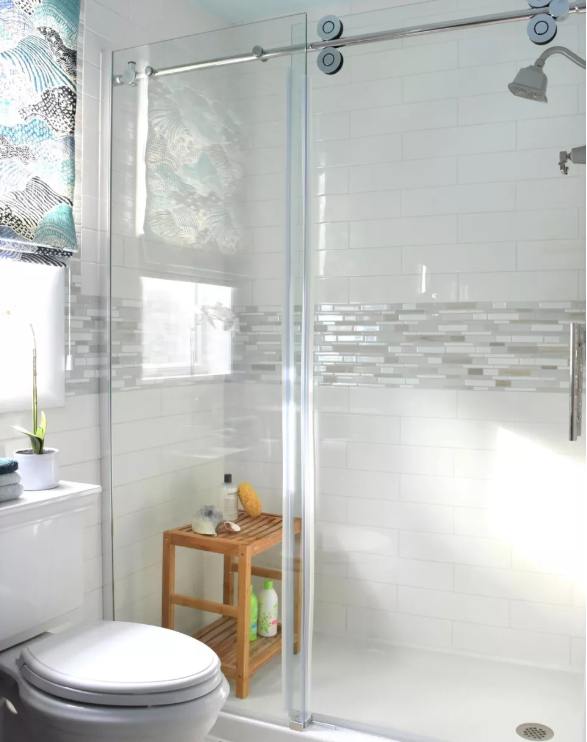 This modern, spacious, spa-like bathroom features a minimalist walk-in shower clad in a pebbled floor, with white subway tile and white grout, and glass doors. To make the bathroom even more bright, the shower is illuminated by a skylight. If your taste is more traditional, a ceramic walk-in shower can be the perfect choice for your shower remodel. This traditional bathroom has a walk-in shower covered in marble and ceramic tiles. If you want something more eclectic and unusual for your bathroom ceramic tile shower, think about various colors that you could use. You don’t have to choose between white, black, and gray. Although these are the most usual and considered the safest choices, you don’t have to go down that path. Ceramic tile models come in many colors so you can choose and indulge many of your bathroom ceramic tile ideas. Just take a look at this walk-in shower! Its walls are covered in blue ombre ceramic tiles. The subtle tones of these gorgeous ceramic tiles look amazingly well together. Ceramic tile is one of the most popular and most wanted tiles at our tile store in Queens, NY. Homeowners, interior designers, contractors, and builders love it because it is very durable and comes in many gorgeous designs. 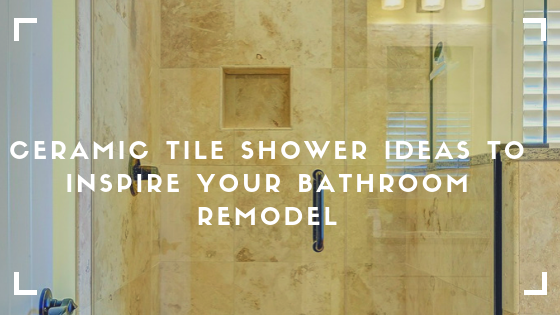 But how to choose the best tile for your shower remodel? Simply looking for ceramic tile shower ideas won’t help a lot if you don’t have the basic information about ceramic tile characteristics, ceramic tile installation, and finally the difference between porcelain and ceramic tile. Sometimes, the style you prefer for your modern bathroom design will dictate the type, size, and shape of tile that you should use. However, we suggest that you should primarily focus on the durability and slip resistance of the tile. When choosing the right ceramic tile for your bathroom, think about how will it feel and how will it look like. Smaller tiles will be perfect to cover curves while large tile slabs are better for sitting than small, mosaic tiles. These are some facts that you may not start thinking of at first while searching for ceramic tile shower ideas. When choosing the best tile for your shower, you need to think about two things: what is the best material to use for shower walls and what is the best tile for the shower floor. Ceramic tile bathroom shower floors can endure much more wear and tear than you can possibly imagine. These tiles are so durable that they are actually one of the ideal options to use underfoot. The best tile for shower floor will be impervious to water, slip resistant durable, and appropriately sized for the slope of the shower pan and the space. For a clean look, use the same ceramic tile on the floor and on the shower pan. Most of the types of ceramic tile for bathroom shower floor are not larger than 6″ x 6″, and 4″ x 4″. You can use almost any type of tile in your shower, as long as it’s approved for the use on the shower floor. We recommend ceramic tiles because they are finished with the glaze which makes them safe to use on shower floors. The best material to use on shower walls is, again, ceramic tile. There are so many beautiful designs and ceramic tile shower ideas! 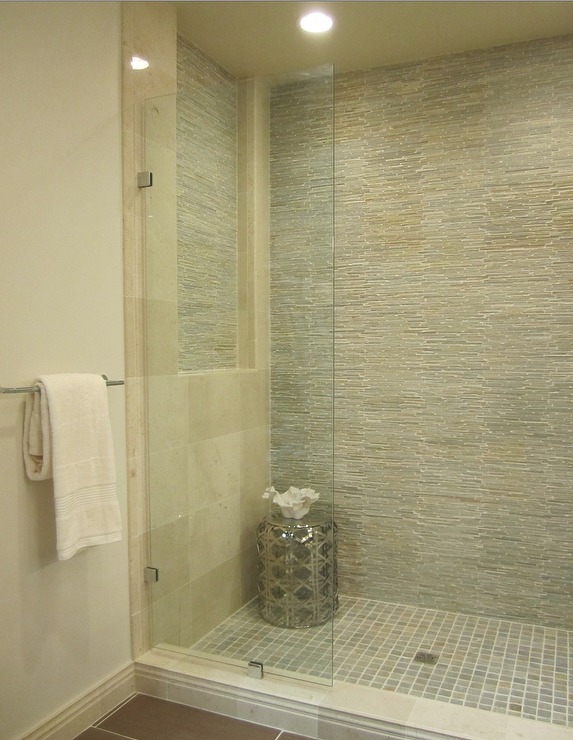 Maybe one of the most beautiful designs is when a ceramic tile is coupled with frameless glass shower doors. This makes a bathroom gloriously pop! When you come to our ceramic tile store, you can choose ceramic tile grades one and two because they offer quite enough strength for frequent use in the bathroom. Longevity and ”as new” look is guaranteed even after many years. However, if you expect even higher frequencies of use or you have kids, feel free to choose a higher grade of ceramic tile to use in your modern bathroom design. Most commonly used on shower walls are glazed ceramic tile designs, from 4 1/4-inch squares to large slabs that can be almost any size. When looking for the best ceramic tile shower ideas, you will, at one point consider both ceramic and porcelain tile. These are the two most common types of tiles but sometimes there is a confusion about which one is better to use. Here is why we recommend ceramic tile as a great idea for your modern bathroom design. Ceramic tile is always cheaper than porcelain tile. When looking into different types of ceramic tile for bathroom, you’ll see that ceramic tile usually comes at 60 to 70 percent of porcelain tile cost. This is an amazing opportunity to save money while providing great quality and amazing looks. Ceramic tile is easier to cut. Ceramic tile is less dense than porcelain tile and therefore easier to cut. Even if you are a DIY type of person, you’ll find ceramic tile easy to manage with. How to cut ceramic tile won’t be a question to ask even for those less experienced remodelers. Porcelain tile will always require a specialist to cut it, especially because they are very brittle. Ceramic tile has more color options and designs. You will enjoy while browsing through many ceramic tile options. You can even get a wood or a stone look for your shower remodel. Whatever you decide to choose, make sure to refer to manufacturer guidelines and installation directions. This is the best way to determine where can you install the tile you’ve chosen. Whether or not you install a new shower in your Manhattan bathroom, the surrounding wall above the shower kit or insert can be tiled as part of the decor and for easy cleaning. Choose a ceramic tile that matches with the shower design or color, along with grout that is a neutral shade that won’t stain easily. If you use a ceramic tile, you can stay rest assured that this is a durable kind of tile that won’t crumble or crack. The tile can match the shower exactly or offer a contrasting accent. If your bathroom has walls that surround the shower on one or both sides, consider installing tile on those border walls to encase the shower itself. Choose an aesthetic pattern that will make the shower pop, or use ceramic tile as a focal frame for the shower. A ceramic tile bathroom shower offers a rich impression of style and beauty that everyone in the family will love, along with guests. 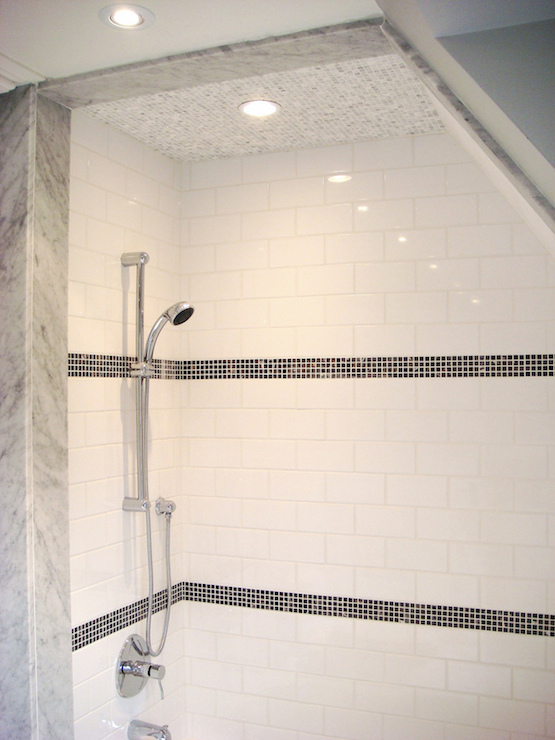 If your shower is recessed into the wall, you may want to tile half the bathroom wall all the way around the room. Choose the bottom half or top half, depending on which you prefer and the fixtures or décor attached to each half of the walls. You could do a middle wall border of tile as an accent stripe if you prefer less tile and more wallboard, which can then be wallpapered or painted. Similarly, tiles can be placed on part of a wall, like the one behind the toilet or behind the tub like those sometimes seen in Manhattan bathrooms, for example, if there is one. Many homeowners like the idea of using tile for the backsplash behind the sink in a ceramic tile bathroom shower. Some apply it to the shower faucet wall for a similar purpose. Tiles may be a solid neutral color to blend the various elements, or they can offer a striking color accent for visual appeal. Tiles may form a collective design, or each be imprinted with the same design. There are many unique and beautiful patterns to choose from. A tiled bathroom floor makes a nice addition to brighten the decor. It can also connect the various colors or elements used in the room. For example, a rustic look with a stone motif in the tile looks well with wood towel racks and a toilet paper dispenser. For stainless steel fixtures, you can combine patterns like a tiled floor with gray tints or pattern swirls, either of which would work well. If you are wondering: ”Where can I find good ceramic tile stores near me?”, look no further. Whether you live in Brooklyn, Queens, or Manhattan, you can find great ceramic tile selection at our showroom. A ceramic tile you like the most will add elegance and beauty to the bathroom shower, to your bathroom, and to your home. You don’t have to spend a fortune to get a luxury look. All it takes is an eye for beauty and the willingness to get creative in designing a tiled look for one or more of your home’s bathroom showers. Quality ceramic tile is sturdy. It won’t chip, crack, fade, or fall off easily. With proper care, it can last many years, keeping your ceramic tile bathroom shower area beautiful and functional. Take a look at our ceramic tile selection and contact us today to let us know what are your favorites for your bathroom shower remodel. Then stop by our Queens ceramic tile store and find an even greater selection of ceramic tile beautiful colors and designs. Here at Home Art Kitchen & Bath ceramic tile store, you can find many beautiful designs. Take a look at our Subway Ceramic Tile, Wood Look Ceramic Tile, and Stone Look Ceramic Tile. 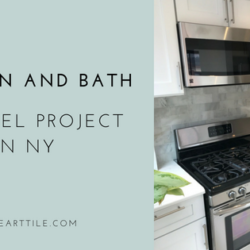 Contact us today to find the best priced ceramic tiles near Manhattan, Brooklyn, and Queens area.